The Two of Us Productions is a nonprofit, volunteer, community-based organization that depends on the generosity of corporate sponsors, generous public funding, community partners, dedicated cast members and musicians for support. Our goal is to present great theater on the local stage, wow our audiences with the shows that we present, and to provide a great experience for the actors, musicians, and technical experts that work with us. We invite the community to attend our shows at very modest ticket prices. Therefore, we are grateful for financial donations in any amount. The Two of Us Productions is an affiliate of RARE, Inc., a tax-exempt 501(c)(3) nonprofit organization. Your donation is fully deductible as allowed by law. We welcome business and individual sponsorships of our productions. Sponsorship and partnership options begin at $250 and include a variety of possibilities for acknowledgement and reserved seats. Please call 518-329-6293 or email TheTwoOfUsProductions@gmail.com for more information. Our theater programs are seen by an increasing number of theatergoers each season. Advertising possibilities are available from quarter to full page, and prices start at $45. Please call 518-329-6293 or email TheTwoOfUsProductions@gmail.com for more information. We invite community members to join our Friends of the Company program. Friends volunteer to help at performances, contribute refreshments to our after-show receptions, and assist with other special projects and productions. Yes, a lot happens back stage! We welcome you. To volunteer, please email TheTwoOfUsProductions@gmail.com for more information. The Company is always interested in your talent as cast members and musicians, and eager to have you become a member of our troupe, although our needs vary with each production. Please ask your employer to match your gift to Two of Us Productions. We would be happy to provide you with our non-profit identification information. Two of Us Productions will celebrate its 13th season in 2013, as a regional production company that has continued to improve and to attract audiences across the Hudson Valley. We hope you'll join us as a cast member, a musician, a volunteer and generous supporter. 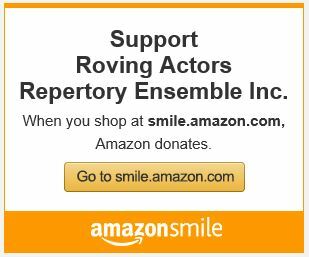 I'd like more information about supporting RARE Inc. & The Two Of Us Productions.